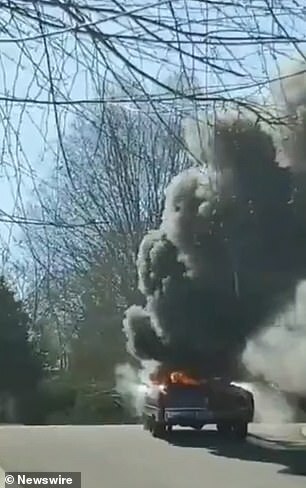 This is the shocking moment a vintage Cadillac went up in flames and rolled down a hill before crashing into a nearby front yard. 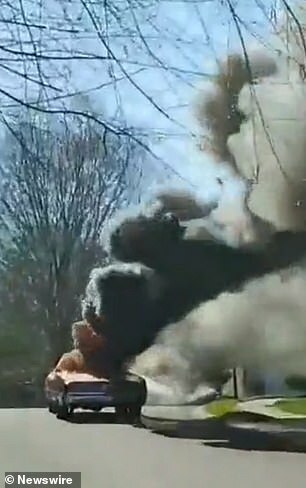 In footage captured yesterday in Chattanooga, Tennessee, two friends who were supposed to take the car out for a drive when they noticed smoke coming from under the bonnet. They jumped out of the car before suddenly caught flame and grew into a blazing fire. The fire department arrived and hosed the car down but moments into the dousing, the brakes burned according to the person recording and the car rolled down the hill. The Love that our Heavenly Father has for all of us is immeasurable. The entire human race, even the most most evil one has a chance to be forgiven and given immortal life. ALL CAN BE A PART of the coming KINGDOM of GOD that is coming to THIS EARTH! BE ONE OF THEM! 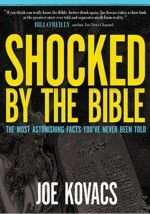 Read the Bible with an open mind. Video of the Day - Incredible Hole in a Lake! On this episode of Hot Rod Unlimited, Elana Scherr speaks with Bruce Meyers, the creator of the Meyers Manx dune buggy. Bruce visits the HOT ROD Studio with some restored and original Manx buggies for a photo shoot and explains the inspiration behind the development of the Manx in 1964 and its subsequent racing and cultural legacy. Then we head to the Meyers Manx headquarters, ride in an original Meyers Manx with the Manx club and take a new Dual-Sport manx on the autocross. This video was first run several years ago, but it's worth the rerun on a slow Tuesday! VIDEO OF THE FUNERAL STARTS AT 19 MINUTES INTO FILM! YOU MUST WATCH THIS DISCRACE and Tell Us how Obama should not be impeached for being a traitor! I recommend everyone to watch ALL OF THIS VIDEO.